I love to whine. People call me a crib, and crib yes I do. It pains to see the happenings around, and pains even more to suppress the helplessness. It was a friend’s birthday last Saturday, and we were reflecting upon the last twenty six years or so in our lives. Humble beginnings, fighting spirit, things working out in our favour, Engineering, MBA and now this marketing job. It all seems like a dream come true when you look at it from outside. I know for a fact that 2 lakh people give the Cat every year, and only 3000 make it! A proud feeling and it makes me crib even more, that in spite of all these backing what use is it if I am not able to bring in the required change? We kept talking, and the topic graduated to the education system in our country. The root cause of the entire accusation game that Indian students are substandard. Narayana Murthy and Chetan bhagat lash out in public over the standard of IIT, and their relevance? What is the use? It is going to remain so ,till we bring in a fundamental change in the thinking of the Indian parent. That would come when they start believing that a living can be made by doing what their child is best at, rather than doing what the world thinks is the best thing to do! Me and my friend, got into a more serious discussion, and were trying to delve on the root cause of these phenomena? Why is our education system like the way it is? And more importantly, what would it take to change it. We could not really come up with anything substantial, but yes we did agree on the things that need to be changed, and ASAP. Engineering and Medicine, and then an MBA is not the only education possible : Done with tenth standard? Good. Now you are taking science. Done with twelth? Good. Now engineering or medicine? That is where the whole world ends! Sadly! There needs to be a fundamental shift in the mindset that arts can be as rewarding and fulfilling. During B-School we had an exchange student from france who had done his graduation in mountaineering! How cool is that? Can you imagine anyone in india doing so? Not in the near future am sure. In a society where even pursuing music as a side hobby is seen in negative, such mountaineering courses seem far fetched. Should change! I got 99.36 percentile in CAT, and I would get a call from IIM. Oh! You got 99.24 percentile? Hope you get a call too! With such a huge population, and everyone vying for the same seat, it is only fair to assum that such a situation would arise. How do we negate it? Give grades rather. A 99.28, and a 99.12 is not much of a difference, and appreciate this fact. I am not saying there should not be merit, but it can be judged in a better way rather than create a rat race for the same. Learning by Rote. The single biggest thing that engulfs our education system to rot it. It should rather be termed as learning to Rot. There is enough said and done about it, and even Aamir tried explaining the importance of learning how to apply concepts in practical life in 3 idiots, but of little avail. Needs to change immediately! My friend lambasted, “These are the real root cause of all rut in the system”. Really? Are these the cause or the effect? Debatable. But no doubt, they do propogate the rut in the system. Works for them, that is their business. 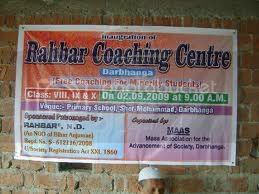 They are the ones who tell parents that it is important for the child to start taking IIT coaching right from his birth. They are the ones who make the engineering degree sound glamorous, and put out big hoardings of all top rankers luring the dreamy innocent parents. They are the ones who propogate that engineering and medicine is the only future, that is till they started offering ICWA and other verticals of coaching. What do you about these? Nothing. They are just catering to a demand. The parent should understand what is good for their child, rather than driving the kids crazy and killing the entire creativity in the child by forcing him/her through those strenuous coaching hours. Not to talk about the coaching fees that parents shell out through their nose. I think Revolution 2020, Chetan Bhagat’s book gives a better understanding on how these coaching centres are killing the nation, and depriving the future india of worthy people. I am back to cribbing. Nothing much would change. Obviously not, if people like me and you just sit and crib at the system sipping our drinks! Nothing is going to change. 1&2: Fundamentally, the education that a person pursues is driven by the job market. In a country like India, the job market is more catered towards engineers and to an extent, doctors… and now towards MBAs So you have everyone chasing after these fields. There’s no point studying something obscure like mountaineering if you’ll end up not getting a job there. The market is slowly changing though, and other fields will come into prominence eventually. 5. As long as there is a huge market for certain fields, there will always be people to take advantage of the market by gaming the system. I don’t think there’s anything wrong with that. The coaching centers are just an easy target to blame for the (supposed) fall in quality of candidates. Actually, this ‘fall’ is more of a flawed idea as you can never compare with a bygone era where people had no option but to perform at a high level in the few opportunities they got, or fail utterly in their career. India has more opportunities now for the youngsters to choose a career, and it is not their (or the coaching center’s) fault that they choose different paths from people of an earlier generation. We should be happier that we have more options and wider aspirations than our parents. People will always crib about the next generation and their flaws. That’s never going to change. However, it’ll be a better use of their time if they focus on restructuring the education system to get youngsters who are more equipped to tackle changing times.